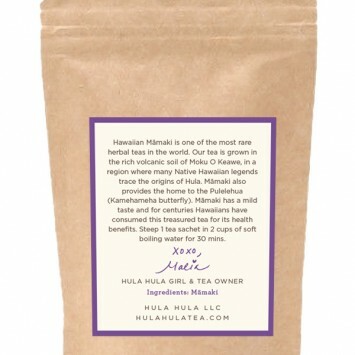 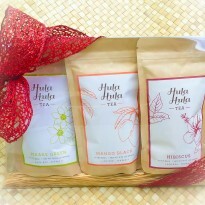 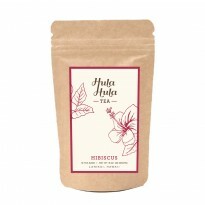 Hawaiian Māmaki is one of the most rare herbal teas in the world. 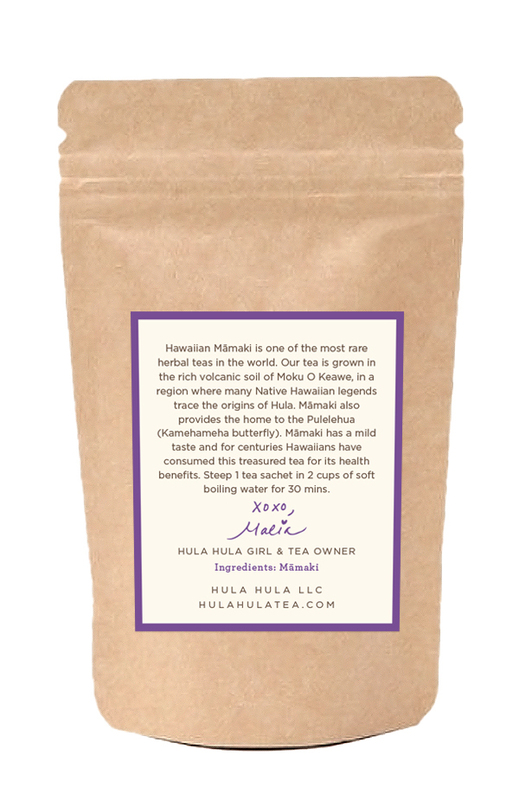 Our tea is grown in the rich volcanic soil of Moku O Keawe, in a region where many Native Hawaiian legends trace the origins of Hula. 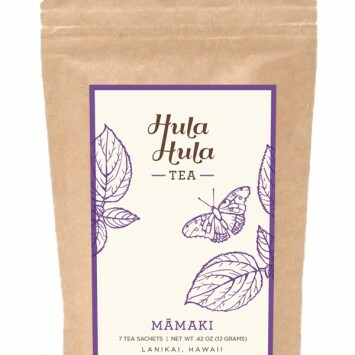 Māmaki also provides the home to the Pulelehua (Kamehameha butterfly). 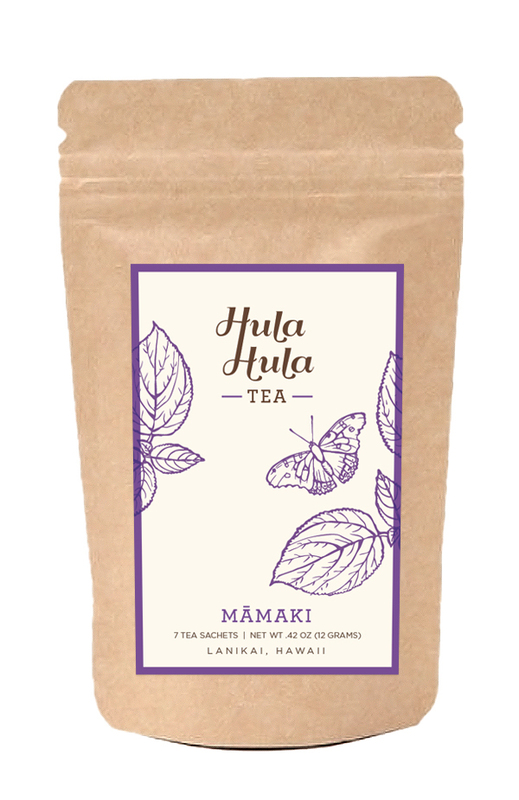 Māmaki has a mild taste and for centuries Hawaiians have consumed this treasured tea for its health benefits. 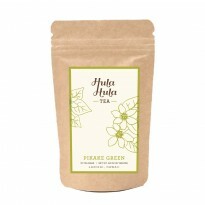 Steep 1 tea sachet in 5 cups soft boiling water for 30 minutes.